Agate Export brings you chakra zigzag journey pendant. 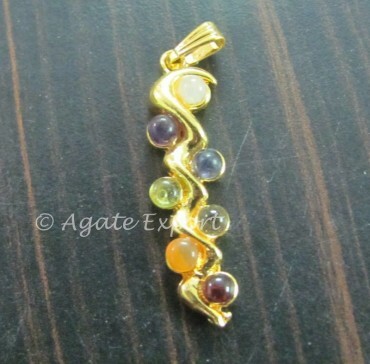 Made of seven chakra gemstones arranged in a zigzag manner, this stone helps in replenishing the body chakras. Available on Agate Export, you can order it for your loved ones.